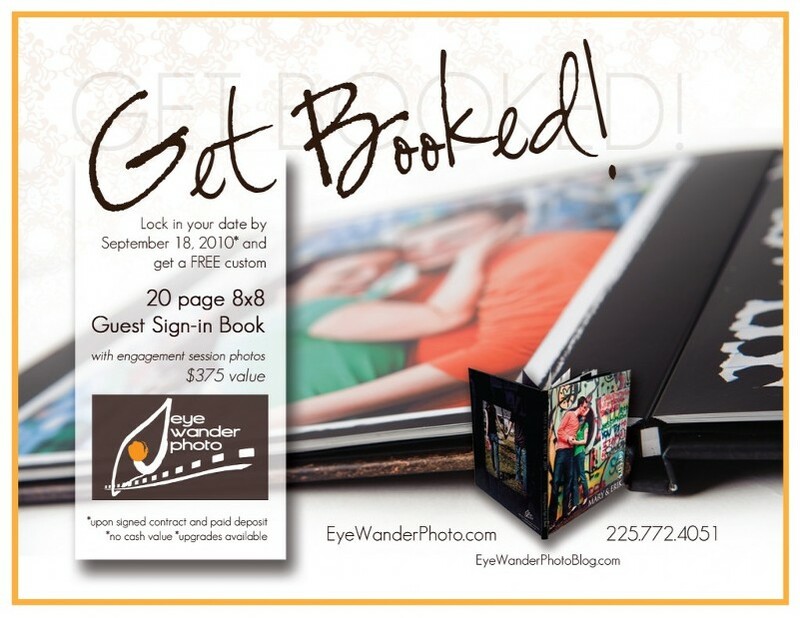 Wedding photography promotion | Book by September 18 – get a FREE guest book! Tell all your friends about this awesome promotion! This is a great way to show off your favorite engagement photos on the day of your wedding and have all your guests leave you some fun messages!